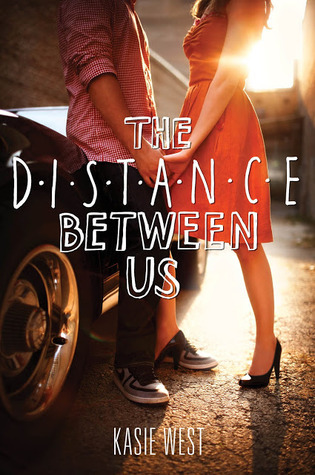 I'd been wanting to read The Distance Between Us since I first heard about it. I finally managed to pick it up when I needed a pure cute, fluffy, and happy book after reading The Book That Shall Not Be Named (Allegiant). While it didn't get me over That Book (I don't think anything ever will), it most certainly helped. And seriously, why didn't I read this book sooner?! It was so good and just so stinkin' cute--definitely one of those fun, feel-good books. I adored it. There wasn't really anything I disliked about The Distance Between Us, though there were a few things that could've been a little differently. Some scenes were a little quick (more, please! ), and some were a little unrealistic. Also, I thought that Caymen, the MC, overreacted a bit sometimes. (Please, just get over your problems and kiss already!) But there weren't any glaring issues, and nothing I think of that makes me dislikes the book. When I think of The Distance Between Us, I think of all the happiness! 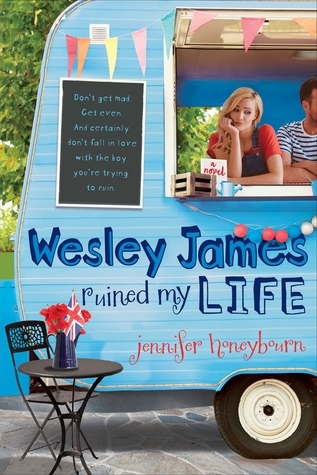 The book is about Caymen, a poor girl who falls for a rich boy--something her mother has always warned her not to do. Caymen works in her mother's doll shop, and it's there that she meets Xander Spence, who is totally, 100% swoony. There first meeting turns into a series of "career days" (oh my gosh, so cute), misunderstandings, and growing feelings. I had few issues with Caymen as the MC/POV, and any issues I had were overlooked because of how this book made me feel, which was awesome. In the end, this review is kind of short, and that's simply because I don't know what else to say. Kasie West can write a darn good (and cute) story, and now I'm wondering why I've had Pivot Point for months and haven't read it. Also, can I have On the Fence, her next contemporary, RIGHT NOW, please? The Distance Between Us has no distance between me and it--it was simply fantastic. Just thinking about it gives me the feels! It's one of those must-read contemporaries, and I thoroughly enjoyed it. And I absotively, posilutely, 100% would not say no to a second book with Caymen and Xander. I want--NEED--MORE. Hint hint. Did I like it? Ohmygosh yes! Did I love it? So close, I think. More so than not. If that makes sense. Would I reread it? I may have already reread some bits and pieces, and it hasn't even been a week since I finished it (as of when I'm writing this review). Would I purchase it? Already have it, and I wish I could have it in hardcover! Who would I recommend it to? Everyone, especially people who like cute and fluffy contemporaries, a la Anna and the French Kiss.